The forces of anti-immigrant, anti-Latino hate have opened up another front in their relentless war: death threats targeting not just immigrants, but the activists who support them. This story from the Atlanta Latino and translated by New America Media, details recent death threats made against immigrant rights activist Rich Pellegrino. A note was delivered to Pellegrino while his daughters were playing the the yard of his home in Cobb County, an Atlanta suburb. As I’ve written here, the situation of Latinos in Georgia-and in many parts of the U.S. bears more than a passing resemblance to the situation faced by African Americans under Jim Crow. Especially disconcerting is what appears to be the increasing propensity to violence on the part of the anti-migrant, anti-Latino sectors of U.S. society as a whole. Nowhere is this propensity more clear than in recent FBI hate crimes statistics that show a 35% increase in hate crimes against Latinos between 2003 and 2006. · The 2007 arrest white supremacist group preparing to attack Mexican immigrants near Birmingham, Ala. with grenades, semi-automatic weapons and 2,500 rounds of ammunition. · The arrest last year of Tyler J. Froatz Jr., a 24 year-old Washington DC area man wielding a gun as he allegedly attacked marchers at a local immigration rally. Police found a 15 guns, a Molotov cocktail, a grenade and more than 1,000 rounds of ammunition in his aparment. How much of this has been reported? And when it is reported, we will see the usual rearguard attempts to wash such crimes away in the muddy waters of white supremacist groups. This will only further endanger us. Nothing less than serious, consistent and concerted local and national actions will suffice, actions targeting the 2 primary promoters of anti-migrant, anti-Latino violence in the United States: the Immigration and Customs Enforcement Agency (ICE) and high-powered media companies (as opposed to their rabid on-air personalities) and their advertisers. Screaming “stop the raids” or “we are not criminals” or “stop the lies” are important to do, but this approach has proven a patent failure in terms of curtailing in any way the escalation of violence. And given recent violent developments in places like the Dominican Republic or South Africa, the time to take more radical measures is now, before God knows what will be unleashed in the event a deeper economic downturn predicted this week by Warren Buffet or if and when another attack by militant extremists takes place. Check out this great essay (full text below) by Michelle Garcia, former writer with the Washington Post. Her personal-is-the-political essay tells the tale of the familial history the U.S. government is trying to cover over with what will be the Tejano version of the Wailing Wall. Best part for me is how she illustrates that the politics behind the wall and the history of plundered land has not extinguished the will to contest and fight. Enjoy. Under a lavender canopy of jacaranda blossoms within sight of the embattled frontier, Luis Peña imagines an unintended and comical use for the future border wall. “If anything, it will be a new sport. People will pole-vault,” says the biology student with thick black hair. He kicks up a long leg and shouts, “¡Salto con garacho!” (“a high leap to garacho music”). Cue the Mexican violins! Laughter erupts from his fellow nature lovers from the Gorgas Science Society. They are here, after all, to chant “Don’t fence us in” in protest of the 60-foot-high wall that will slice straight past their border-side campus — which combines the University of Texas at Brownsville and Texas Southmost College — and right through the Rio Grande Valley borderlands. I laugh weakly. I’m feeling dejected. Jokes about pole-vaulting, about lizards doomed by the wall, aren’t what I expected when I trucked down to the very tip of my home state. I’d expected indignation about the border wall. I expected people to take it as personally as I did, like a slap at my identity, my South Texas culture, the Mexicanness in my Americanness. I imagine my ancestors felt the same way oh so long ago, in 1848, after the newly drawn border cut through their lands, marooning them in a netherworld with Mexico on one side, the United States on the other. In the 21st-century version of that alienation, the new border wall may transform once-private lands into a de facto DMZ complete with spotlights and armed patrols. Land, you see, is everything to us. Our culture is tied to the land. It is passed down as our inheritance, as my father did for me and my siblings, fulfilling his long-held pledge. In these borderlands, the fates of families like mine have hinged on the land. And so my instincts insist this wall is not just about illegal border-crossers, not just about Mexicans. It is, in a deeply historic way, about people like me, people whose identity was forged in generations of struggle over land. Peña invites me to see a campus monument marking the old war between Mexican and gringo: an old cannon standing erect along the Rio Grande. Check it out, he says. “This might be your last chance before the wall goes up.” The cannon sits on the wrong side of the planned wall. Peña and I stroll through the campus, with its buildings of somber desert browns and reds and its sky-blue tile domes of Spanish-Moorish influence. This once was Fort Texas (later renamed Fort Brown), erected in 1846 when the United States charged the original southern border at the Nueces River and invaded Mexico to push the frontier 123 miles south to the much-coveted Rio Grande. What once was Mexico suddenly became the United States. “They fought for it,” he says of the United States. “But it’s ‘the enemy’ that’s left,” he adds ironically. First, in that original war of conquest, the Mexican was the enemy. Then, it was the newly minted U.S. citizens, the Texas Mexicans, branded as bandits when they rebelled against colonial subjugation after their families were annexed with the territory. 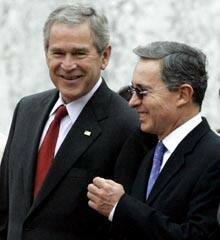 The war might have ended, but people like us, like Peña and I, still are regarded as the enemy by some. We are the outsider with a Spanish-infused drawl, with a song of love and valor in our hearts; the pickup-driving, boot-wearing, Stars and Stripes-waving Tejano. But Texans sometimes refer to us as “Mexicans” even now, when you can find a military veteran in nearly every family, and many of our families in these parts are as old as the mesquite tree. “We have American flags, we recite the national anthem. But what do we have to do to be plugged in?” Antonio N. Zavaleta, a vice president at the university, asks effusively. He is a great-great-grandson of Juan Cortina, who led an armed rebellion in 1859 against Manifest Destiny and the new Anglo social order that aimed to subjugate the Tejano. “And this border wall,” Zavaleta continues, “is further indication that the world ends from a line from Corpus Christi to Laredo and everything down is a buffer” between the United States and Mexico. With my pickup truck radio tuned to country and old-school rock, I ride the highways of the South Texas brush country pursuing the roots of the resistance heard now along the borderlands. My journey takes me north on U.S. Highway 281, where I pass fields of sunflowers bowing under a relentless sun like mourning widows. The mesquite and brush rustle under the massive sky and here, gazing across the vast chaparral, I’m overwhelmed by the historic resilience embedded in the terrain unfolding before me. This was Nuevo Santander to the Spaniards, Tamaulipas to the Mexicans, and Wild Mustang Desert to the Texas ranchers, both Anglo and Tejano. This was the region where my family — and countless others — defended their land more than 150 years ago and have fought for a place under the new flag hoisted above them. When I arrive at a family reunion in the San Antonio Hill Country where my paternal grandmother’s clan has gathered at an uncle’s ranch retreat, it is family and land that my elderly tias (aunts) are talking about. “The rumor was that he had been poisoned,” says one tia, Berta Guerra, retelling the story of the early demise of my great-grandfather, Mauricio Gonzalez, who mysteriously died after attending a political meeting. The Gonzalezes owned massive acreage on both sides of the Rio Grande and did a good job of holding onto it — until they, along with other wealthy Tejanos, bankrolled a coup attempt in 1891 against the Mexican dictator Porfirio Díaz. Catarino Garza, my great-great-uncle, a journalist who married into the family, led the would-be revolution. Anglo Texans branded him a social agitator for stirring up trouble with Mexico, a key trading partner, and for firing off missives to newspapers criticizing Anglo “racists.” United against him, Mexican and U.S. forces put down the rebellion, and Garza fled to Latin America. It was as if the Ranger who penned this 1892 report could not comprehend that Garza gave voice to the growing frustration of Tejano ranchers and cowboys at the land-grabbing Anglos; that they might be just a little sick of being treated like a “mongrel race,” to use a common insult of that era. A short walk from the state capitol, at the Hideout Theater, the film “Border Bandits” is upending some of the tall tales from that era of revolution — tales like the looming race war — and replacing them with a bloody history most folks don’t know about. The film centers on the recollections of Rio Grande Valley ranch hand Roland Warnock, who in 1915 witnessed Texas Rangers shoot two unarmed Tejano ranchers — both U.S. citizens — in the back. But were they really “bandits”? About midway back to the border, at a converted ranch house with creaky wood floors that now is the Kenedy Ranch Museum, historian Homero Vera fills me in on the back story for the “Border Bandits” film. The struggle, of course, was over land. Tejano landowners rebelled against the strong-arm land seizures by Anglos that robbed them of their ranches. Between 1900 and 1910, some 187,000 acres went from Tejano to Anglo hands in just two border counties. Suddenly, Tejano ranchers and proud vaqueros (cowboys) became landless farm laborers. Inspired in part by this Tejano-Anglo conflict, Tejano rebels launched their Plan de San Diego. The 1915 plot called for the defeat of U.S. rule in Texas, Colorado, New Mexico, Arizona and California, the formation of a new republic for Mexicans, blacks and Indians, and the killing of every Anglo male over age 16. Bands of rebels burned bridges, derailed trains and wreaked havoc throughout the Rio Grande Valley. It was the nightmare scenario Rangers had anticipated. And though 80 years had passed since that seminal border battle, the Ranger crackdown evoked that old battle cry of the Texas Anglo: Remember the Alamo! Spurred by the film, state Rep. Aaron Peña (D) proposed a bill in 2005 to teach this largely ignored Ranger history in Lone Star schools. The bill died in session. Peña never revived it. Faced with the outcry over 21st-century Mexican immigrants, Texas, he said, wasn’t ready to look back at injustices committed against Mexican Americans in the distant past. “It’s a less tolerant environment — a xenophobic political environment — that we exist in today because of the immigration debate,” he says. But the 1915 Ranger campaign wasn’t directed at immigrants, I say. It was directed at Tejanos, meaning: U.S. citizens. Fear, said Peña, made such distinctions irrelevant to Anglos of that era. A few years ago, as part of a push to get a veterans’ hospital built in the region, Peña joined Rio Grande Valley vets on a march to the Alamo. But theirs was far from a hero’s welcome at that Texas landmark of freedom. As if they were foreign. As if they didn’t belong. I’m preparing to leave Texas, and Homero Vera and his wife, Letty, invite me to dinner at a steakhouse, where Homero hands me a thin book, “El Mesquite,” written by Elena Zamora O’Shea, one of our cousins, in 1935. Narrated by a wise old mesquite tree, it is the story of our ancestral roots in this region and how we came to be marooned in our own country. “If they were Spaniards when governed by Spain and Mexicans when governed by Mexico, why can they not be Americans now that they are under the American government?” O’Shea wrote. I’ve experienced what O’Shea describes, like when a border patrol agent once saw me in my pickup and pulled me over. “Are you a citizen?” were the first words out of his mouth. It’s even happened to a couple of Tejano judges who were deemed suspicious and detained. But I am like the old mesquite tree: My identity has grown from this embattled yet glorious land and the cultures rooted here. I remember one of my last conversations with my father three years ago, in the quiet of a Corpus Christi night as he lay in his hospital bed. He repeated his sacred promise. “I’m leaving you kids the ranch,” he said quietly. “It’s yours to do with what you want.” And with his passing, he did just that, bequeathing a history that transcends borders. The land is our birthright in this place now called Texas, and its history contains our Gettysburg, our Trail of Tears, the seeds of our culture. The land proves we’ve been here, we belong here. On these treasured memories, these beloved bones, that dreaded wall will rise. Another in what smells like the latest media-enabled Bush Administration escalation of tensions with its perceived enemies, in this case the Venezuelan government and Hugo Chavez. The government of U.S. ally Alvaro Uribe, the bloodiest leader in the hemisphere thanks to more than $4 billion in U.S. military aid, is using a recent report by Interpol, the global policing agency, to back its claims that laptops found after the bombing of a Colombian guerrilla camp in Ecuador offer proof of Venezuelan support for the insurgent FARC. And in what appears to be the elite, bipartisan consensus in Washington, both John McCain and Hillary Clinton support the Bush Administration and death squad President Alvaro Uribe. Even more sadly, it appears that Barack Obama’s “hope” does not extend beyond our southern border as he too ignores the violation of soveriegnty and the human rights atrocities of the Uribe Administration. Either Colombia’s defense department somehow managed to recruit an army of miracle workers who magically compressed a thousand years into the 2 days they held (under questionable circumstances) the laptops or another nasty and quite dangerous escalation of political and military tensions is brewing in the White House. It appears that, in George Bush’s broken lexicon, “latop” is Spanish for “WMD”. For more information about this important and tense situation, see this interview with my friend Forest Hylton on the Real News. Just look at those beautiful young people who united for something beyond Benetton. Will the media report that these black and Latino youth were at each other’s throats as they were hauled into the paddy wagon for protesting the violence perpetrated by the criminals who shot Sean Bell 50 times? Look. Look at them and what do you see? What does the press see? I see how these young people involved in the civil disobedience, marches and other responses to the Sean Bell killing, the immigration raids and the deaths of immigrant detainees are marking a much-needed political and moral response to the very dangerous normalization of official violence on the part of local, state and federal law enforcement officials. The 50 bullets pumped into Shawn Bell by the NYPD and the devastation wrought on the 66 immigrants killed by the neglect and violence of the ICE and it private contractors, make painfully transparent that law enforcement is doing the 3 things it does best in times of profound economic crisis: repress, repress, and repress. But in the process, the increased violence of local police, ICE agents and other government officials may help us move beyond the myths of “black-latino tensions” manufactured by the media. These and other commonalities may, indeed, provide something of a foundation for a more informed and less infantile discussion about blacks and Latinos in the U.S.
Much more to follow on this, including stuff on what is to be done. So, please share your thoughts, plans, ideas and dreams. Now is the time. 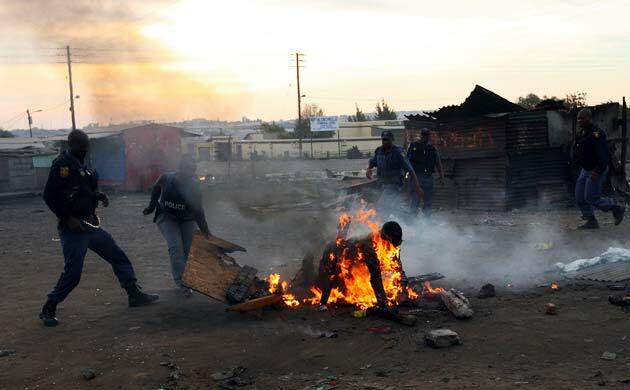 S. African mobs armed with machetes, sticks and other weapons beat, burned and killed Zimbabwean migrants in areas in and around Johannesburg. The best reporting on these truly tragic developments can be found in the U.K. Guardian. These most recent attacks follow escalating anti-migrant violence aimed not just at Zimbabweans, but at Somalis, Mozambicans and other groups in the past couple of years. What is striking about this turn of events is that S. Africa has been and continues to be at the fore of economic and political development in Africa. Adding a painfully ironic twist to this tragedy is the fact that the Ramaphosa squatter community (named for Cyril Ramaphosa, former secretary general of the African National Congress or “ANC) and other sites of recent violence against non-citizens were the site of death squad and other state violence against black S. Africans during the apartheid era. Now men in ANC government uniforms are protecting non-citizens being terrorized by citizens. The South African violence must be viewed as one of the many noxious effects of the global crisis gripping Africa and the entire planet. Anti-migrant violence worldwide is on the increase in no small part because even some of the once strong economies and polities like those of S. Africa or the U.S. are exhibiting the symptons -and deadly behaviors- of failed states. Viewed from this vantage point, It’s pretty clear that last week’s “biggest”, “largest” (according to ICE press releases) raid in Iowa was a diversionary tactic designed to take attention-and pressure- away from the political vulnerability ICE’s violence and neglect in detention centers have opened up, a vulnerability that must exploited if their impunity and corruption are to end. Raids before, during and after marches illustrate how very political ICE is-and acts. The number of ICE scandal actions -vigils, videos, social networking sites, posts, op-eds, public educational events a, letters, protests and other direct action -will define how truly political-and effective- we are. Responses – and non-responses-to this crisis will tell us, the immigrant community and our powerful adversaries whether we really want to pull out of the defensive, reactive (as in only reacting to raids and other ICE initiatives) politic that we seem all-to-comfortable with. The great danger right now is that we allow the Democrats and their allies to frame the ICE crisis in a reformist manner, as something simply requiring better management and health care. We must, to the best of our abilities make clear that the crisis is not solely nor primarily about the health conditions that need to be reformed; its about the policies and the institutionalized verbal, visual and physical violence against human beings who happen to be migrants, policies that need to be destroyed. The Democrats have done nothing to stem the tide of institutional intolerance and hate. Nothing. So, they should follow, not lead. Some other local national detention rights groups are planning press events, actions etc in coming weeks. This crisis at ICE has given us what no violent raid or series of violent raids can give us;the crisis has given us the kind media coverage that started the ball rolling on detention scandals in Abu Ghraib and Guantanamo: in-depth, front page reporting in the NYT, Washington Post and 60 minutes. The media did its part in this case. Democrats and other politicos will align along whatever vectors of political -and moral-pressure they are placed in. And ICE and its subcontractors have done their part with their corruption, unconstitutional practices and relentless violence. So, ICE’s fate really is up to those of us in the fight for migrant rights now. Let us seize the moment. Immigrants held in immigration detention facilities are not just suffering and dying because of the bad management documented so thoroughly in recent stories by the New York Times, the Washington Post and on 60 Minutes; they’re suffering and dying because the situation of undocumented in the U.S. bears more than a passing resemblance to that of African-Americans dehumanized and killed by Jim Crow. Call it Juan Crow: the matrix of laws, social customs, economic institutions and symbolic systems enabling the physical and psychic isolation needed to control and exploit undocumented immigrants. The death, violence and neglect suffered by immigrants would not be possible without the increasingly radical dehumanization seen daily on television, heard on radio and felt in the almost daily raids on homes and workplaces. And, as reported last week, even schools and childcare facilities are no longer free from the looming presence of heavily armed Immigration and Customs Enforcement (ICE) agents. Given the extremes to which our government is going in its war on immigrants, it should come as no surprise that, since 9-11, more detainees have died in immigration detention than have died in Guantanamo and Abu Ghraib combined. Nowhere is the increasingly tragic plight of immigrants more obvious than in the Georgia. The toll this increasingly oppressive climate has taken on citizen, non-citizen and, especially, undocumented, immigrants is felt powerfully by children. The younger children of the mostly immigrant Latinos in Georgia are learning and internalizing that they are different from white–and black–children not just because they have the wrong skin color but also because many of their parents lack the right papers. To read more about Juan Crow, go here. 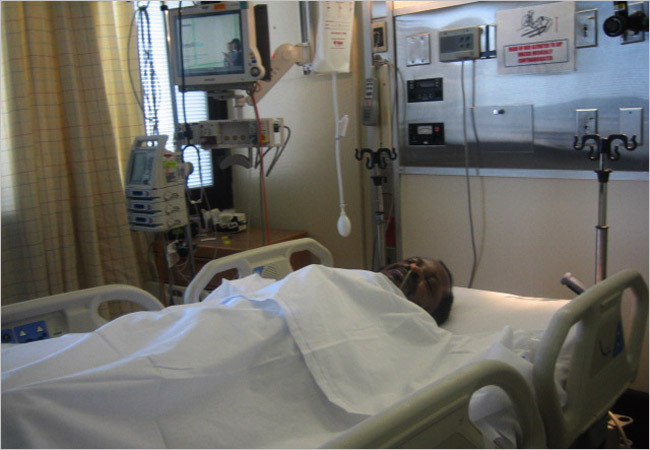 “… frantic relatives located him at University Hospital in Newark on Feb. 5, 2007, he was in a coma after emergency surgery for a skull fracture and multiple brain hemorrhages. He died there four months later without ever waking up, leaving family members on two continents trying to find out why. 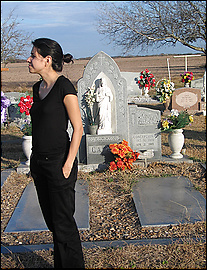 Bah’s is but one of the 66 stories of individuals who died in immigration custody between January 2004 to November 2007. 66, more than the number of those who died while in custody at Abu Ghraib and Guantanamo -combined. In addition to the tragedy gripping the families of these victims, this report sends an unmistakable signal to the immigrant rights community: the dehumanization of immigrants has reached deadly institutional levels. Such high levels of death among detained migrants prove that the “Stop the raids!” slogans and calls for reform are of limited value. Yes, I said thousands of dead. Rather than simply allow ICE to continue its big money PR campaigns to “humanize” its image, some might also consider the tactic of starting the ball rolling by temporarily closing ICE offices themselves. As I’ve suggested here and here, you don’t need 400,000 to 1 million marchers to close down an ICE office; As Salvadorans and their supporters proved when they used to close federal buildings and other facilities with a few hundred people in the 1980’s, all you need are enough citizens (no need to put the undocumented at risk and, those are, after all, our tax dollars paying for ICE and its subcontractor’s death factory running.) concerned about death and (tax) dollars. As the campaign to shut down the nefarious Hutto prison shows, taking the political offensive against ICE does have an effect. The main point is to take the onus off of immigrants and put it where it belongs-on ICE, the agency that divides families, terrorizes entire communities and kills immigrants. Such an dangerous agency doesn’t need reform; It needs to be closed down. In the face of such catastrophic results wrought since the birth of ICE, closing them down marks the beginning of any “immigration reform” agenda. Those of us old enough to remember might recall those halcyon days when celebrating Cinco de Mayo meant many things: closing off a street in what was then known as a “barrio”, listening to sometimes inspired and sometimes less-than-inspired music of long-sideburned Santana wannabees from the local garage bands and eating food infused with the love of the local. And we sort of listened to the bandana’d radical Chicana organizer urging us to become part of the global liberation struggle commemorated on May 5th, when badly-equipped, but inspired Mexican guerrillas defeated the forces of Napoleon III’s French Empire in the 19th century. Others may recall how, in the 80’s and 90’s, the long lost Decades of the “Hispanic”, many turned local street fairs across the Southwest into the larger, corporate-sponsored, alcohol-drenched festivals whose ghost we can still see today. The proud proclamations of culture and political struggle previously embodied by “Viva el Cinco de Mayo” gave way to the “Hispanic pride” contained in slogans like Budweiser’s “Viva la ReBudlucion!” or Absolut Vodka’s more recent racist -and ultimately failed-attempt to cash in on culture with its ad equating drinking vodka with a fictitious Mexican desire to re-conquer (the dreaded specter of “reconquista” promoted by anti-Latino groups and some media outlets) the Southwest. Looking back on those days now, it’s clear how Latino children and adults going to Cinco de Mayo celebrations became a “mission critical market” in the clash of corporate empires that define a major part of our lives today. But, as a visit to most of the recent Cinco de Mayo and other Latino-themed celebrations makes clear, Latino events now move to the beat of a new power, that of the U.S. Pentagon. No longer the small, intimate and largely unknown celebration it was in the 70’s, Cinco de Mayo is now celebrated from San Diego, California to Sunset Park, Brooklyn and beyond. And among the major powers present at such events are the Army, Navy, Air Force and Marines. Ubiquitous at the hundreds of Cinco de Mayo street fairs in towns and cities throughout the country are military recruiters armed with trinkets, video games, loud music and hyper-hip Hummers that draw even more children and families than the colorful (and urine-smelling) playpens McDonald’s still deploys in its Latino outreach efforts. As African American youth and females of all races continue to reject military recruiters in record numbers, the Pentagon finds itself with no choice but to invest hundreds of millions to capture the hearts and minds of young Latinos. Our children have become “mission critical” to the future of the empire itself. And, so, the U.S. military –and its high powered Hispanic advertising and publicity firms– has brought us a new Latino celebration, the Cinco de Pentagon. But rather than fight these nefarious designs on our kids (ie; Until recently Chuck E. Cheese included military-themed puppet shows and television shows broadcast in its restaurants) with nostalgia, we should begin by cleaning house within our communities. First on my list would be a call on local and national organizations like LULAC and the National Council of La Raza to stop promoting the military in exchange for Pentagon sponsorship dollars for their events. The recent Pentagon propaganda scandal should not shock anyone who consumes Latino media; Many Latino media outlets are chock full of paid advertising propaganda and they should to stop taking advertising from the various branches of the Armed Forces that’ve turned them into mouthpieces for military recruitment. And, of course, we should approach local organizers of Cinco de Mayo and other events about boycotting the efforts of those who lie to our kids in order to get them to go fight losing wars in Iraq and Afghanistan. We need to remind them of the powerful anti-militarism traditions rooted deeply in the Chicano, Puerto Rican and other communities. I live in New York, which is also called “Puebla York” because of the huge number of Mexicans from Puebla that live there. It’s painful to see how Cinco de Mayo has gone from celebrating the liberation politics and heroism of Puebla to celebrating the recruitment of the descendants of Zaragoza and other Poblanos by the very center of U.S. efforts to destroy global liberation, the Pentagon. But, all is not lost. Latinos and others across the country have ramped up their efforts to stop the recruitment of Latino youth. Efforts like those in Puerto Rico, counter recruiters have fanned out to all 200 high schools to deliver their anti-militarism message to thousands of students. So, whatever your race, background or creed, if you’re opposed to the war in Iraq and to militarism generally, you might consider stopping recruitment among those without whom the future projections of the military will not be realized: Latino youth. And a good place to start might be to stop celebrating the Cinco de Pentagon and replacing it with something resembling the CInco de Mayo celebrations of old. This just in from Rudy Acuna, author of Occupied America, one of several books identified as “anti-American” by Arizona Rep. Russell Pearce, R-Mesa and other backers of the racist SB 1108 bill. Rudy’s letter to the Tucson Citizen rightly denounces the dangerous tactic of the “Big Lie” inherent in SB 1108. Well made points by an eminent scholar and committed activist, one I have great affection for and admiration of. Unlike many of the present day squatters in Arizona, I have deep feelings for Arizona. My mother’s family, the Elíases lived there for centuries. But recently I have been swimming in a sea of emails alerting me to Rep. Russell Pearce, R-Mesa, amendments to Senate Bill 1108 that would permit Arizona to confiscate books, ban Chicano studies and exclude the Movimiento Estudiantil Chicanos de Aztlan (MECHA) from Arizona’s campuses. I am 75-years young and have lived through the McCarthy era and read about similar thought control crusades which history has exposed as idiotic. In the 1920s the words to the pledge of alliance were changed from “my flag” to the “flag of the United States” so aliens would not cross their fingers and salute a foreign flag. The present proposal ranks along side these kinds of idiocies. If Pearce has his way, Arizona schools would ban courses “denigrate American values and the teachings of Western civilization” and would teaching practices that “overtly encourage dissent” from those values, including democracy, capitalism, pluralism and religious tolerance. Rep. Pearce who is not the sharpest knife in the box then would bar public schools, community colleges and universities from allowing organizations to operate on campus if it is “based in whole or in part on race-based criteria.” Among the books designated for burning is my book Occupied America: A History of Chicanos which has received the Gustavus Myers Award for an Outstanding Book on Race Relations in North America. I am personally offended by Pearce’s labeling my book as seditious. Unlike Pearce I served in the armed forces and did not claim deferments. I was a full time student in good standing at the University of Southern California during the Korean War. I volunteered draft. Pearce and many of the thought control cadets took another route. Moreover, many of the statements Pearce attributes to Occupied America were in quotation marks. Having taught well prepared students from the University of Phoenix, I know that Phoenix teaches its students what quotation marks mean. .
For Pearce’s information, history is probative. It builds. That is why the content of U.S. history courses change from elementary through high school. University courses which Pearce should are much more complex. What I am more concerned about are Pearce’s attempts to smear MECHA. Adolph Hitler was a proponent of the use of the Big Lie as a viable propaganda technique. Hitler said that the bigger the lie the more adapt people were to believe it. Pearce implies that MECHA excludes other races and promotes racism, which is just not true. For Pearce’s information, MECHA organizations on every campus are chartered by student affairs. In order to be chartered, the organization has to be open to all students regardless of their race, ethnicity or religion. Every campus differs. I have visited hundreds of campuses throughout the country and have found that on some campuses the majority of the members were non-Mexican American. I entered education because I wanted to give gang kids an alternative – I loved the kids but hated gangs. Many former gang members are today lawyers, medical doctors and teachers because of Chicano studies and MECHA. Indeed, in California 85 to 95 percent of all Latino elected officials are alumni of this organization. Frankly, people like Pearce relish in the portrayal of Mexican Americans as gang members rather than university graduates because they can step on us. The Big Lie strategy of Pearce and company is effective because most people become paralyzed in the face of the Big Lie. During World War II, most Americans turned a deaf ear to the herding of over 100,000 Japanese Americans into concentration camps. As a Mexican American I am proud of 16-year old Ralph Lazo from Belmont High in Los Angeles who said that this is not right and declared himself of Japanese decent and went to Manzanar with his friends. That is in Occupied America. Mexican Americans should realize that these attacks are today directed at them because Pearce looks at them as weak. He has not yet taken on the Hillel or the Newman Clubs on college campuses who like MECHA do fine work and incidentally have Jewish Americans and Catholics as their core members. Hopefully, Arizonians will wake up and people like Pearce will suffer the same fate as the Pete Wilsons did in California. His attacks are race specific and based on the Big Lie. And history will unfortunately judge Arizonians. Chanting, singing and marching alongside so many others in the Chelsea march, also provided the energetic 4th grader a counterbalance to the crush of loneliness (“I feel like nobody wants to help us”), fear (I’m scared they might take my mom”) and isolation (“Sometimes I feel alone”). If, it achieved nothing else, march organizers say, the May Day mobilizations gave Norma, Olivia and the 12 million undocumented immigrants and their families living in United States a dose of hope in the face of an escalating war on the undocumented. Yelling “Alto a las redadas! Alto a las deportaciones!”(Stop the Raids! Stop the Deportations!) the tens of thousands of immigrants and their supporters marching throughout the country on May Day believe they took crucial steps for a movement trying to defend families like Norma’s from a multibillion dollar war being waged on immigrants. On May Day they hoped they helped align the movement’s agenda, animate its base and flex its power. Prior to today’s marches, the fissures and differences around strategy for immigration reform had split the movement. Some groups supported ‘tradeoffs’ -legalization for even heavier enforcement- like those contained in the now defunct McCain-Kennedy bill while other groups didn’t. May Day march organizers also found themselves on the defensive against what Ortiz calls ” a kind of low-intensity conflict” unleashed on immigrants shortly after the historic May Day marches of 2006: thousands of raids on homes and workplaces conducted by heavily-armed immigration agents, deployment of 6,000 national guard troops to the border, billions of dollars in government contracts to military-industrial companies like Halliburton, Blackwater and Boeing to build the infrastructure to surveill, trail and jail immigrants. Mayday Interview With Amy Goodman on Democracy Now! Check out Amy’s great show on Mayday and migrant’s rights. The Reverend Jesse Jackson, other guests and I also connected the dots between global trade, militarism and migration. Check it out. Full transcript below, complete with lots of “uh’s” during my Q&A. You can find the video of the interview on Democracy Now’s site. Mike Whitehead, Worker at Micro Solutions. He was illegally detained during the Feb. 7 ICE raid. Christopher Scherer, Staff attorney for the Center for Human Rights and Constitutional Law. Roberto Lovato, Writes for New America Media and is a frequent contributor to The Nation Magazine. He blogs at ofamerica.wordpress.com. AMY GOODMAN: We’re broadcasting from Los Angeles, California on this historic day, a day for—in the struggle for labor rights and the eight-hour work day, tens of thousands are expected to march across the country today, linking immigrants’ rights to May Day for the third year in a row. The major demands include legal status for undocumented migrant workers and an end to the raids and deportations that have torn families apart. One of the biggest rallies is expected to take place today here in Los Angeles. As we continue our coverage of these issues, we turn to one of the most controversial immigration topics in this country: workplace raids carried out by armed US agents. If you were in Los Angeles in early February, you might have seen these reports on your local news. KTLA-5 NEWS ANCHOR: [ICE] raided a Van Nuys company today. The raid took place at a printer supply manufacturer called Micro Solutions Enterprises. Family and friends rushed over as soon as they heard what was going on. REPORTER: From News Copter 13, you can see a toddler who doesn’t quite understand why she can’t be with her mother. AMY GOODMAN: On February 7th, hundreds of agents from the Department of Homeland Security and Immigration and Customs Enforcement, known as ICE, raided a Los Angeles company called Micro Solutions. During the raid, US agents arrested 138 immigrant workers. In addition, armed ICE agents detained 114 workers who were US citizens or lawful permanent residents. The Center for Human Rights and Constitutional Law has just filed claims on behalf of these workers. It’s believed to be the first time a group of US citizens and lawful residents have brought claims against the government for being illegally detained during an ICE raid. If the claims are successful, this legal strategy could force the Department of Homeland Security to change its policy about workplace raids. I’m joined here in Los Angeles by two guests. Christopher Scherer is a staff attorney with the Center for Human Rights and Constitutional Law. Mike Whitehead also joins us. He’s a worker at Micro Solutions, illegally detained during the February 7th ICE raid. In New York, we’re joined by the journalist Roberto Lovato. He is a writer for New America Media and a frequent contributor to The Nation magazine. He blogs at ofamerica.wordpress.com. We welcome you all to Democracy Now! Well, Mike Whitehead, let’s begin with you. What happened on February 7th? MIKE WHITEHEAD: February 7, we were brought in—a hundred-plus agents were come into the facility and had us detained for a number of hours. I personally was detained for about an hour of that time in a conference room, to begin with. We were hustled into the room and told that we couldn’t move, we couldn’t leave, we had to keep our hands visible, we couldn’t use our cell phones, which was sort of disturbing to me, because I didn’t know what we did wrong. You know, I’m a US citizen. We were shuffled around to another area of the facility and asked to be segregated later at a time that we were later cleared. But we were detained for approximately one hour, me personally. AMY GOODMAN: And did you know who the armed men were? MIKE WHITEHEAD: At the beginning, I didn’t, because I didn’t recognize “ICE” on the back of their jackets. I mean, there was a hundred-plus agents, armed, flak vests that said “ICE” on the back of them. I later figured it out. I mean, it was pretty obvious who they were. AMY GOODMAN: Christopher Scherer, can you talk about the legality of this? CHRISTOPHER SCHERER: Well, we don’t feel there was any legality to this. It’s a violation of Fourth Amendment rights of citizens of lawful permanent residents. ICE is coming in and detaining an entire factory worth of individuals and holding them under armed guard and allowing them to leave when they decide, when they think it’s appropriate. AMY GOODMAN: How common is this? CHRISTOPHER SCHERER: It’s happened all over the country. I mean, it’s happened here in Southern California at Micro Solutions. It happened in Texas, in Iowa, with the Swift raids, where they held literally thousands of American citizens while they were looking for undocumented workers. AMY GOODMAN: Roberto Lovato, can you talk about this? ROBERTO LOVATO: Yeah. First of all, I want to encourage everybody to get out on the streets today if they feel outraged about what happened to Mike and what’s happening to thousands of citizens and non-citizens in the United States. I really encourage you to go out there and support them and also to get a dose of hope, because that’s what May Day is about, a workers’ and immigrants’ hope. What happened to Mike is, as I said, not unique. I have traveled the country interviewing citizens and non-citizens who are experiencing these kinds of raids and violence, state violence, with increasing frequency. And I really feel for Mike, because it’s proving a thesis I’ve had for a while now, which is that the immigration raids, the attacks, the increasing militarization of police forces, of the National Guard at the border, are all indicators of how immigrants are being used to normalize having people with guns in our midst. In other words, first it was the people in the yellow outfits detained after 9/11. Now it’s the Mexican and other immigrants. And as we see with the case of Mike, now it’s US citizens and workers who are being subjected to what in another context, in another country, would be called, say, “terrorismo de estado,” state terrorism. Peoples—Mike, I’m sure, may have dreams about this. His body may shake because of being violated, as if—you know, having his rights and his person violated. And so, it’s an indicator of why we need to get out to protest and assert our rights, because, as I said, immigration is being used to militarize within the borders of the country. AMY GOODMAN: I wanted to ask Mike Whitehead not only about you, but about all the other workers. Can you talk about the reaction when the agents came in? What time of day was it? MIKE WHITEHEAD: It was about 3:45, close to 4:00. The reaction was that we thought we were under some sort of attack. We didn’t know what was going on. They never disclosed who they were and what they were there for. AMY GOODMAN: And so, what about the immigrants who worked there, whether documented or not? MIKE WHITEHEAD: Oh, that we have close to 800 employees in our facility, so it was a mass detention. As far as who was undocumented, I have no idea who was undocumented in our facility. We follow our I-9s. I know that we are compliant and have been cooperating with ICE and Homeland Security. AMY GOODMAN: Well, let me put this question to Roberto Lovato. The overall policy of immigration right now, and especially here in California and then going down to the border? ROBERTO LOVATO: Well, you have a radical transformation of the political and demographic topography of the United States happening right now. It’s concentrated in the Southwest, and it’s because of the growth of Latino and other populations, but especially the Latino population. And you’re seeing it in the streets. It’s altering our political system. And you’re seeing it in our electoral process. And I think that instills a lot of fear in certain powers that be, because it’s no longer kind of the black-white politics and the era of the Southern strategy. We’re watching something take place that nobody really has an idea where it’s going or what’s going to happen. We do know, for—as, for example, as reported in the LA Times, that immigrant voters are going to radically transform not just the Southwestern United States, but the entire United States in the coming years. And this is inevitable, unless there’s some sort of massive tragedy, which I hope not and I would fight with every bone in my body, but—as would others. But so, we have to look at—it’s just an issue of control. The border is not a fact. The border is an idea, OK? The border is violated every day by the primary criminals that are, in fact, transnational corporations that cause migration in the first place. And so, it’s no coincidence that we’re focusing on, for example, the undocumented worker and not on the employer that hires them, in the debate. They are breaking the law, if anybody’s breaking the law, as much as, if not more than, the undocumented worker. Yet the entire debate is focused on the human being and not the citizen that is the corporation, because to focus on them, we would have to, for example, apply the death penalty to corporations and take away their citizenship, as we do with prisoners. And that’s, I think, what’s at stake here, Amy. AMY GOODMAN: Let me go to Christopher Scherer, staff attorney for the Center for Human Rights and Constitutional Law. What about the responsibility of the employer versus the workers? CHRISTOPHER SCHERER: Well, I mean, there’s no question that employers are under an obligation to comply with, you know, all the rules and regulations with regard to who they hire and hiring legal—at least checking the status of the people that they hire. But in this situation, all those things have been done. And, you know, if—the employer in the situation may be a subject of fraud, a victim in the situation, and it doesn’t change the fact that ICE is coming into these factories without color of warrant, without exigent circumstance that could justify the types of detentions that are taking place and holding citizens and permanent residents against their will. AMY GOODMAN: And what about the companies, Roberto Lovato, that benefit, that are profiting off of the increased militarization, particularly along the border? ROBERTO LOVATO: Well, we’re watching the birth of what some people, like Deepa Fernandez and others, are calling the military-industrial-migration complex, a set of interests, economic, political, that are profiting politically and economically from this new, what I would call a war on immigrants. If, say, the drones at the border or the National Guard at the border or the fact that the ICE, the immigration agency, is in fact the most militarized arm of the federal government besides the Pentagon—a lot of people don’t know this—and so, if you look at that, those are indicators of a war, of an enemy. And so, we know from Iraq that the government acts not just out of what it says it’s going to do, but for other reasons. So why not apply that logic to what’s happening with immigration? Because I think immigration is about controlling immigrant workers, putting fear in them, and I think it’s about electoral machinations that we’re seeing, especially by the Republicans, and also a lot of Democrats. But it’s also about the crisis of legitimacy in the state itself. I think there’s a crisis afoot. And when there’s a crisis, you want to bring in as many people with guns within. And so, there’s a lot of companies that are benefiting, like Blackwater, like—does this sound familiar?—Halliburton is building immigrant prisons. All these electronic surveillance companies are getting multimillion-, multibillion-dollar contracts, in the case of Boeing, to surveil, jail and harass immigrants. And so, you know, this whole anti-immigrant moment is extremely profitable for the stock portfolios of a lot of companies. AMY GOODMAN: Roberto Lovato, can you talk about the “Three Amigos Summit” that took place in New Orleans, or as it came to be known, President Bush meeting with the heads of state of Canada and Mexico? ROBERTO LOVATO: Yeah. There was—this is the most recent in a series of meetings that have taken place between the heads of state of Canada, Mexico and the United States. And it’s interesting to look at what their agenda is. It’s primarily about free trade and security. OK, and that’s not a coincidence. It’s not that they just put this together. It’s the fact that in order to implement the free trade policies in Mexico that drive migration, that destroy workers’ rights and the environment and that cause, you know, crisis after crisis, and now to do that in the United States and in Canada, you’re not just going to need to implement new laws, you’re going to have to back up the—yourself up with military force, as you see in the case of the discussions that were had about Plan Mexico. Plan Mexico is essentially a plan to militarize or what I would call “Colombianize” Mexico. I was in Michoacan last year, and it’s one of the most militarized parts of Mexico, with—a country with no history of a—modern history of a military, of a militarized society like the rest of Latin America. And so, the summits are about fomenting free trade and helping to create excuses for putting, again, more people with guns in our societies, whether it’s in Mexico in Michoacan in the countryside, where they’re knocking on people’s doors and capturing them and causing more people to migrate, or whether it’s in Canada or now here in the United States, where you see the raids. You look at those images, Amy, that you had of, say, MacArthur Park in Los Angeles. If you took away the LAPD names on those, that would look just like Gaza, if you look at the weaponry, the way they’re dressed, etc. So these are visual, clear indicators of the fact that immigration is not just about immigrants. It’s as much about those of us that are citizens and instilling fear and normalizing the idea that it’s OK to have people with guns and uniforms in times of crisis and meltdown like we have now. AMY GOODMAN: Well, I want to thank you for joining us, Roberto Lovato, speaking to us from New York. ROBERTO LOVATO: Thank you, Amy. AMY GOODMAN: Roberto Lovato writes for New America Media, a frequent contributor to The Nation magazine. And our guests here in studio in Los Angeles, as we continue on the road, Christopher Scherer, staff attorney for the Center for Human Rights and Constitutional Law, and Mike Whitehead, one of the employees at Micro Solutions who was detained on February 7th during the ICE raid.